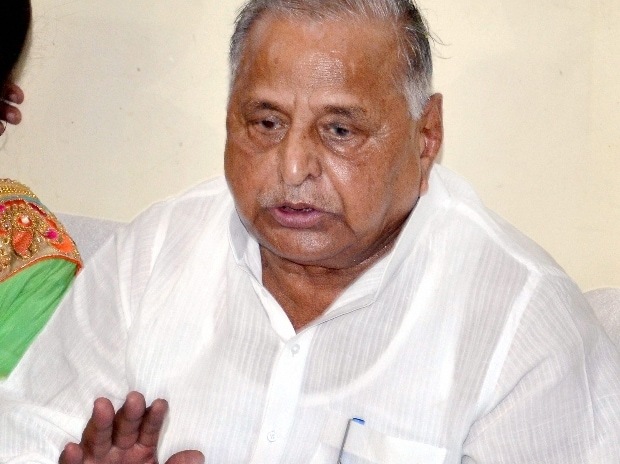 Samajwadi Party founder Mulayam Singh Yadav Thursday made clear that he is upset with the alliance forged by his son and party president Akhilesh Singh Yadav with the Bahujan Samaj Party. Mulayam Singh Yadav expressed unhappiness over the Uttar Pradesh pact ahead of the Lok Sabha polls, questioning why Akhilesh Yadav gave "half" the seats to Mayawati's party. Addressing party workers at the SP headquarters here, he urged them to approach him if they sought the ticket to contest the parliamentary polls and suggested that he could change any decision taken by Akhilesh Singh Yadav. Akhilesh Yadav and Mayawati had jointly announced the alliance in January, saying the SP and the BSP will contest 38 seats each out of the 80 in Uttar Pradesh. However, in the list released Thursday, the SP will fight only 37 seats and the BSP 38. Now, tell me what is the basis for giving away half the seats. Now we have only half the seats left. Our party was stronger," Mulayam said. "We are strong; our men are weakening the party. What a strong party we had made, and I became the CM and the defence minister as well," he said, suggesting that the SP had seen better days under him. The BJP's election preparation is better. It has an edge over us, he told party workers, and suggested that candidates should be announced soon so that they can begin work on the ground. He urged the workers to apply to him for the tickets. "How many of you have given applications to me? Nobody. Then how will you get the ticket. Akhilesh will give the ticket, but I can change it," he said. Speaking on the last day of the 16th Lok Sabha earlier this month, Mulayam Singh Yadav had trigged much speculation when he congratulated Modi for taking everyone along. "I hope all members will win and return, and you will become the prime minister again," he had then said.